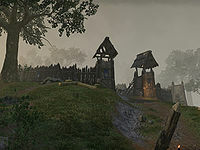 Lion Guard Redoubt is a camp of the Lion Guard in northern Glenumbra, northeast of Camlorn. The soldiers here are preparing to assault Cath Bedraud, but only once a number of preparatory steps have been completed. Lion Guard Redoubt Objective: Help the Lion Guard Redoubt hold the line against Angof. 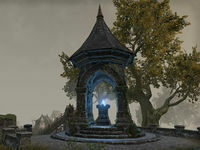 Lion Guard Redoubt Wayshrine is located to the northwest of the camp, above Merovec's Folly. 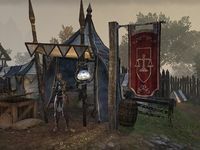 The Guild Kiosk Redoubtable Deals is located in the center of the camp.